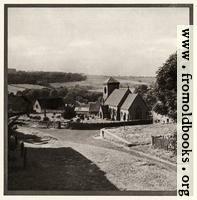 Photographs from Cotswold Country, a book of photographs by S. W. Colyer (1939). 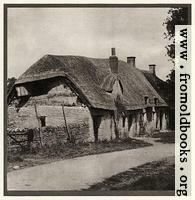 The photographs are taken before 1945 and are out of copyright, because at that time English law gave copyright to photogaphs for 50 years after publication, and photographs that were already out of copyright in 1995 were not “revived” as the law puts it; the text of the book is probably still under copyright (the author was still alive in 1945, less than 70 years ago), so I am reproducing only the image titles. 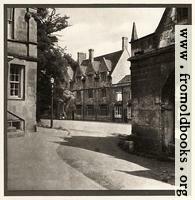 The book had an introduction by Horace Annesley Vachell. I have started with plate 3, but plan to scan all of them, and, if they should prove popular, maybe look for more by the same photogapher. 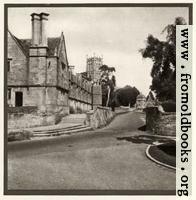 The Cotswolds is the name of a range of hills in Gloucestershire and Oxfordshire, in the Western part of central/southern England; the region is famous for the yellowish-brown limestone used to build houses.